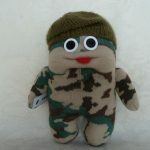 SOCKIES – Uniquie handmade toys from socks ! 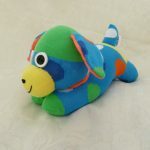 Unique hand-made toys from socks ! All toys comply with the Toy (Safety) Requirements, and are suitable fchildren of all ages … even adults ! If you live local to me in Poole, you can always call round to my home and pick up your order, thus saving on P&P. If you wish to do this, then please email me your order on crafty.shortland@ntlworld.com and we can arrange a suitable date and time for collecting.